Among the various advertising and PR undertaken by the BBC to promote the new series of Doctor Who was a YouTube takeover that allowed users to pilot the Tardis. 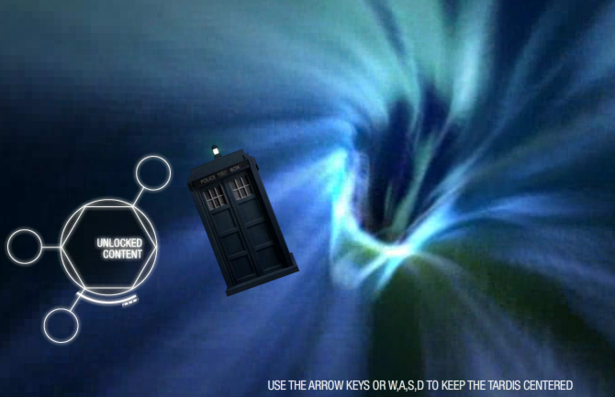 Players had to move the Doctor’s spaceship through a vortex using their keyboard and were rewarded with exclusive content that included a scene from the new series. The game also tied into a PR stunt involving a Tardis crash site by Big Ben, which was similar to a Game Of Thrones promotion by Blinkbox earlier this year. 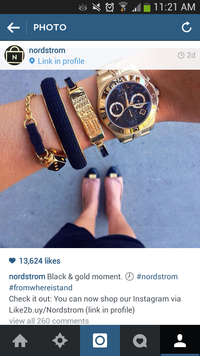 Nordstrom is seeking to monetise its Instagram account by including a link to a shoppable feed within its bio. 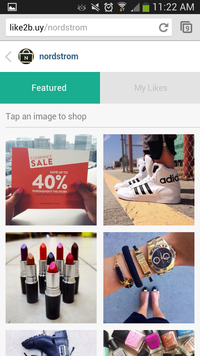 Set up by Curalate, the system requires users to first navigate to a webpage that essentially duplicates Nordstrom’s Instagram feed, which then links to the brand’s mobile site. It’s a nice try, but clearly doesn’t offer a seamless user experience, not least because Instagram posts all have to include comments directing users back to its bio. Volkswagen gave away six camper van tents by posting images of UK landmarks on Twitter and encouraging followers to guess the location using the hashtag #CamperHunt. VW also setup a competition page on Facebook. Not a social campaign as such, but worth flagging up as an interesting development in Facebook advertising. In August insurance aggregator site Comparethemarket became the first UK brand to use Facebook’s premium video ads. The ad formats are 15-seconds long and automatically play without sound when a user scrolls past them. 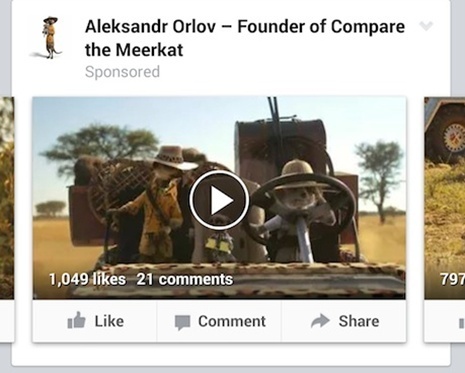 The ads featured various clips of the brand’s meerkat character. Comparethemarket’s campaign was targeted at users aged 25-54 with a GRP of 45 and was supported by native video targeting. Anyone who actually watches the video will then be targeted with page post link ads encouraging them to buy insurance from Comparethemarket. Marking the first time we’ve had two doctors on the list, Dr Pepper this month launched a campaign that used YouTube and Buzzfeed to target 16-24 year olds. The YouTubers involved include Stuart Ashen, Dan Howell and Phil Lester, with viewers able to interact throughout. Dr Pepper is promoting the video using native advertising on Buzzfeed, though I’ve been unable to track down the article. Unlike most branded videos, Dr Pepper’s effort is almost 28 minutes long so it requires some patience and doesn’t score that immediate pay off that normally sends a video viral. Still, it has achieved 460,000 views so far, so it may well prove to be a roaring success with the youths. Following on the heels of Kellogg’s and other pioneering brands, Marc Jacobs set up a pop up shop in London’s Covent Garden where people could pay for items using tweets. It was intended to promote the brand’s new fragrance, Daisy, so shoppers had to take photos of items and tweet them using the hashtag #mjdaisychain. They could then show their tweets to shop assistants on the checkout to claim a key ring or free manicure at the in-store nail bar. There was also a Twitter wall on display that collated the tweets and showed activity around the hashtag. Pop up shops can be an effective way of generating PR and social buzz, particularly if you’re willing to give away free stuff. Finally, look at this cool Twitter Card from Acura. It allows users to customise their own Acura TLX then share it with their followers. Hopefully we’ll see further experimentation with the format soon.